I’m very happy to announce that I’ve been selected as Fusion Art’s Spotlight Artist for the month of September. Please find an excerpt from their press release below. Fusion Art is pleased to announce that Brian McClear has been awarded an Artist Spotlight Solo Art Exhibition on its website. The Artist Spotlight Solo Art Exhibition Series highlights individual artists of exceptional talent and skill who have an overall body of work to showcase. Brian is the Traditional Artist Spotlight winner for the month of September 2017. He is a contemporary representational artist with a passion for the interplay between form and texture. The exhibition, titled “Discards & Discovery”, is a series of 30″ x 30″ oil paintings, in progress, inspired by found objects. 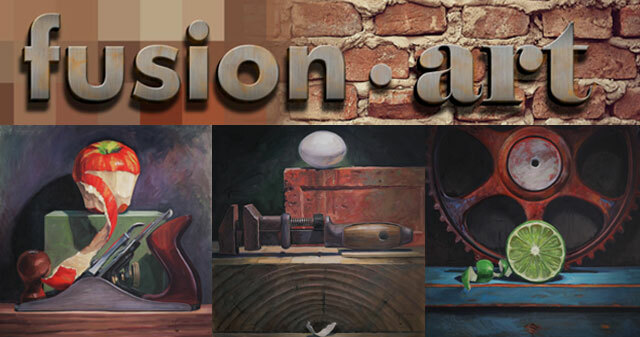 To view Brian’s Artist Spotlight Solo Art Exhibition and to learn more about him and his work please visit http://fusionartps.com/brian-mcclear-artist-spotlight-solo-art-exhibition-sept-2017/.